In this post we’re going to create various Action Bindings with parameters. Moreover, we’re going to see a way to change the content of our parameters on run time! This post assumes you’re familiar with UE4 Delegates. In case you don’t quite remember, or know, what or how to use them, I’ve got you covered! 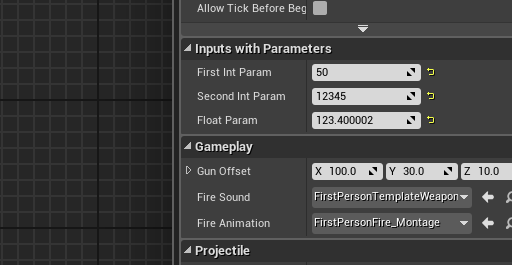 Before we go any further let’s take a step back to explain how inputs work in C++ inside UE4. Your character contains a component named, InputComponent (at least this is happening on the template project !) 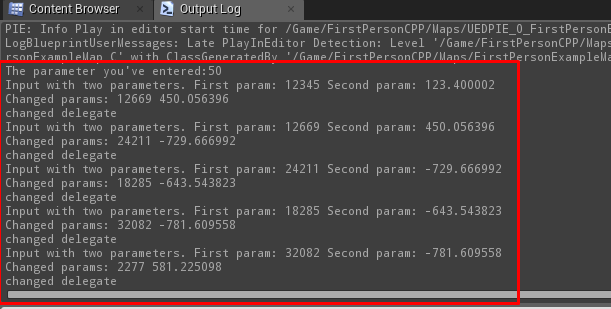 which is responsible for checking if a valid device for inputs (such as a gamepad / keyboard / mouse etc..) exists. Moreover, that component contains all the available inputs for the specific character. The main difference is that axis bindings execute in each frame, whereas action bindings execute when certain conditions are met (for example the user double clicks, or presses a button). In this post we’re going to focus solely on action bindings. This is the standard way to add an action binding. In this post, we will explore a different way of adding an action binding. //Second Param - identical code to the first param action bind but with a different function and parameters! 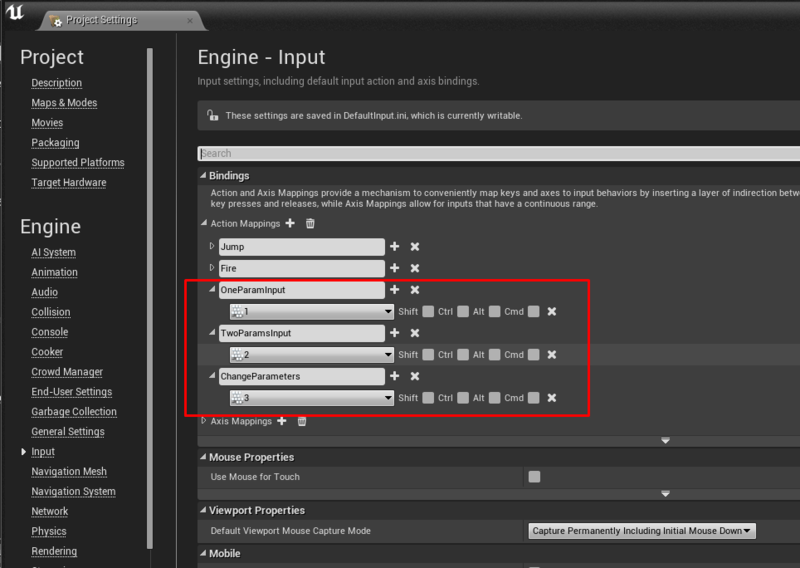 The remaining steps are to implement the function ChangeParameters and specify some initial values for our exposed properties through the Editor. //Choosing a different random param! //However, this bind contains our new values! It would help a lot if you post your code in a pastebin link so I can see what’s going on.